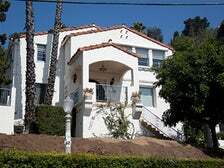 Shortly after patriarch Joe Jackson secured his sons a record deal with Motown, producer Berry Gordy moved the family from their 672-square-foot residence at 2300 Jackson St. in Gary to Los Angeles. He first put the Jacksons up in motels, before eventually leasing them a sprawling Spanish-style dwelling in West Hollywood in November 1969. Though the family loved their new hilltop home, which was more than four times the size of their previous residence, the neighbors weren’t pleased with the Jackson 5’s noisy rehearsals and it was not long before Gordy was forced to move them to a new location – a modern house on stilts at 2430 Bowmont Drive in Beverly Hills which no longer stands. The Bowmont neighbors did not appreciate the group’s rowdy practice sessions either, and Gordy was compelled to relocate the Jacksons once again. Joe finally put an end to the various moves in 1971 by buying a large home for the family at 4641 Hayvenhurst Ave. in Encino. Michael would continue to live at that spacious property until 1988, when he purchased his infamous Neverland Ranch, located in Los Olivos about 130 miles outside Los Angeles. Hayvenhurst, as the Encino estate is known, remains in the family to this day, but, unlike the Jackson’s first L.A. home, is blocked by a large fence and is not visible from the road. Upon arriving in Southern California in 1969, an 11-year-old Michael enrolled as a 6th grader at Gardner Street Elementary School in Hollywood. The singer attended classes under the tutelage of Mrs. Laura Gerson during the day and then headed to a studio each evening to record songs for the Jackson 5’s debut album. When the group’s first Motown single, “I Want You Back,” hit the airwaves on Oct. 7, 1969, it shot to Number One and catapulted the Jacksons, especially Michael, to stardom. It quickly became apparent that the youngster could no longer be part of a regular school environment and in 1970, Michael withdrew from Gardner Elementary in order to be home-schooled. 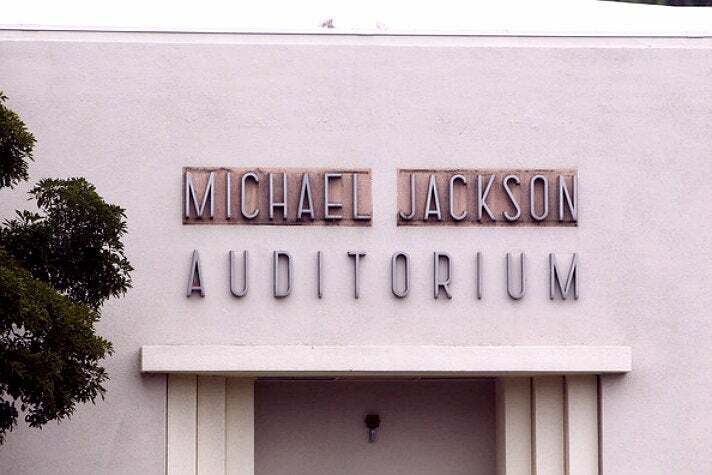 In 1989, almost twenty years after attending classes there, Gardner Street Elementary honored its most famous alumnus by renaming its assembly room Michael Jackson Auditorium. The King of Pop himself showed up for the dedication ceremony on Oct. 11 and was presented with a plaque by Mrs. Gerson. During the event, Michael also made a speech, planted roses on the property, donated money to the school, and signed the chalkboard in his former classroom, Room 8. (That signature is still intact today and is displayed in the Michael Jackson Music Education Lab, which the school established in 2012.) In late 2003, after the pop star was arrested on charges of molestation, parents demanded the sign bearing his name be covered over. 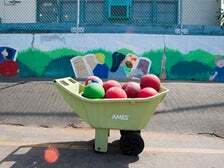 The school complied, boxing in the lettering with painted plywood. When Michael passed away, parents again made demands (along with ardent fans) – this time for the plywood to come down. It was eventually removed in October 2010 and today, the metallic sign gleams over the auditorium doors, proudly touting the property’s connection to one of the greatest performers who ever lived. 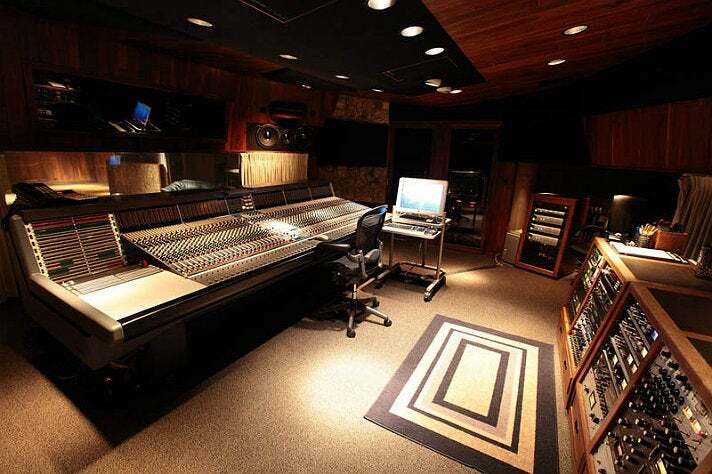 Situated inside of a non-descript one-story brick building in Beverly Grove is the recording studio where the King of Pop laid down some of his most popular tracks. 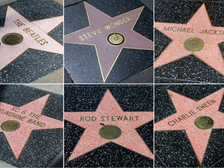 The state-of-the-art site was originally established as Westlake Audio in the early 1970s and over the years has hosted such luminaries as Justin Timberlake, Madonna, and Van Halen, among countless others. 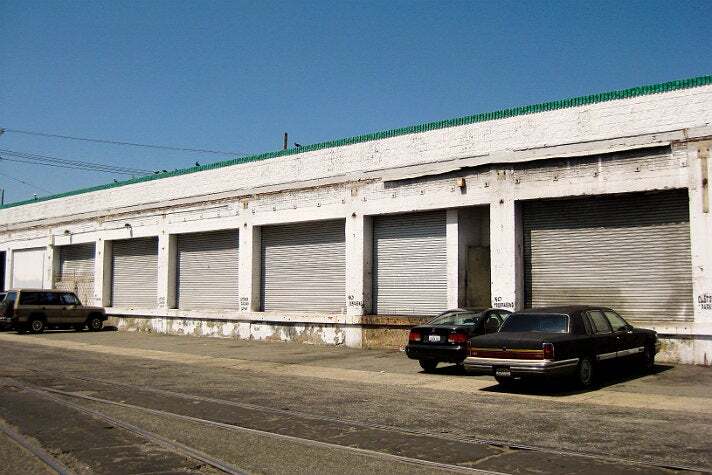 Michael recorded songs for Off the Wall and Thriller in Westlake's Studio A. Westlake later acquired a second, larger studio space located at 7265 Santa Monica Blvd. 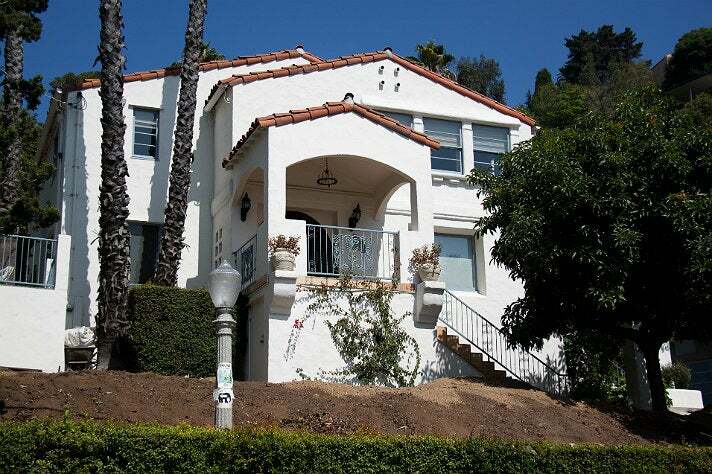 in West Hollywood and largely built it out to the specifications of Michael and producer Quincy Jones. Those customizations include a stage where the pop star rehearsed his dance moves in between recordings and an upstairs lounge area overlooking the tracking room where Bubbles the chimp would often hang out. Michael utilized Studio D of the Santa Monica Boulevard space to record tracks for Bad and Dangerous. 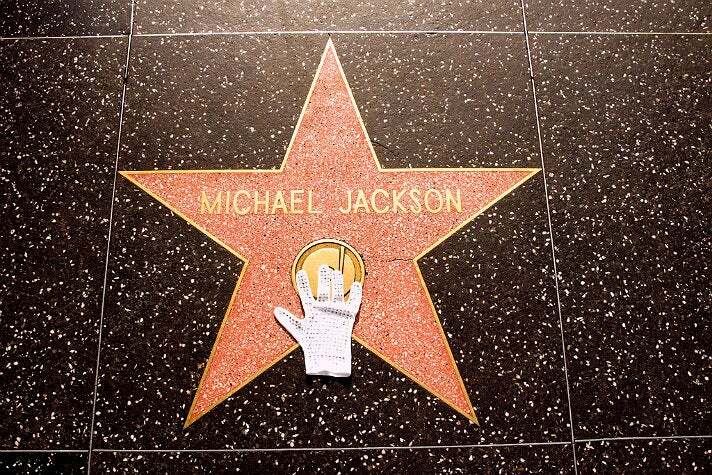 Both properties stand as virtual tributes to MJ, with photos of the pop star, framed albums, and his handwritten notes, lyrics and drawings dotting the walls. 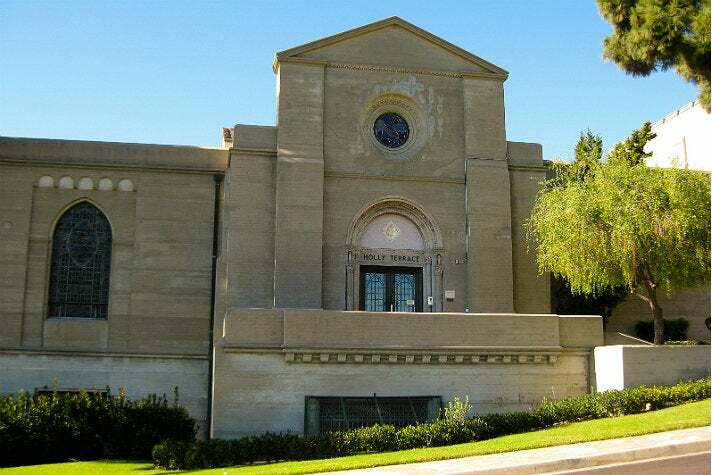 Westlake remains a working recording studio today and is normally closed to the public, but the site opens its doors to host tours each June during the week of the anniversary of the pop star’s death, as well as other times throughout the year depending on availability. During the three-hour Thriller Studio Tour, fans are given an intimate, extremely hands-on glimpse of both studio properties and are invited to literally walk in Michael’s footsteps in the very spots where he made music history. Advance reservations are required. “But especially I like the new songs.” So said Michael Jackson shortly before performing “Billie Jean” during the taping of Motown 25: Yesterday, Today, Forever at the Pasadena Civic Auditorium. Shot before a live audience on March 25, 1983 and aired on NBC on May 16 of the same year, "Billie Jean" became one of the pop star’s most indelible performances. In the final moments of the song, MJ, wearing his iconic black loafers and white socks, sailed backwards across the stage in a seemingly superhuman movement that brought the audience to its feet, had tongues wagging for days, and propelled the former child star into the zeitgeist. The Moonwalk would become one of the King of Pop’s signature moves, performed countless times on stages worldwide, but its show-stopping debut remains inextricably woven into not just Michael’s history, but the history of music and dance as a whole. 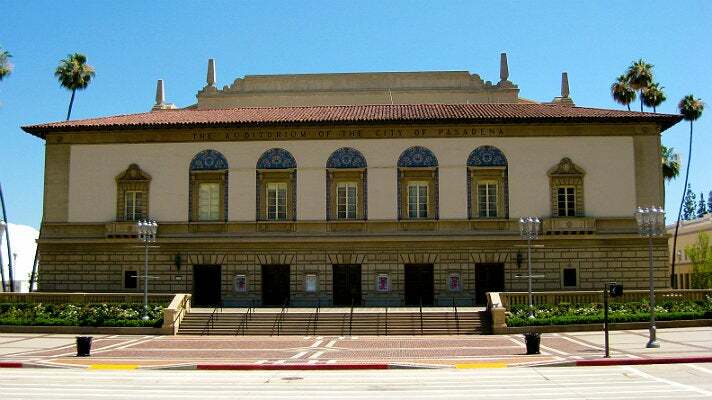 Though it's not open to the public, the Pasadena Civic Auditorium, which was designed by architects Cyril Bennett and Fitch Haskell in 1932, and its legendary stage can be glimpsed by attending one of the concerts or speaker series hosted regularly on the premises. The Celebration of Life that immediately followed Michael’s private funeral on Sept. 3, 2009 was held less than a mile away at the now-defunct Villa Sorriso restaurant, formerly located at 168 W. Colorado Blvd. in Old Town Pasadena. Hoping to achieve a raw, gritty and rough aesthetic, Michael shot his 1983 “Beat It” music video utilizing actual gang members over two late nights in Downtown Los Angeles. 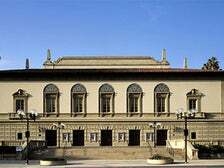 Due to the changing nature of Downtown L.A., many of those locations have since been demolished or vastly remodeled. Special Café at 416 E. 5th St., where the pop star dances around a restaurant counter, has been razed. The Hard Rock Café at 300 E. 5th St., where the gang members hang out pre-rumble, currently houses a market. And Brunswick Billiard Academy at 406 S. Main St., where MJ spins around pool tables, is now a restaurant space. The warehouse where the pop star schools two rival gangs by showing them that fighting is not the answer remains intact. 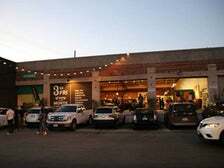 Located in the Arts District, the warehouse has been split into two neighboring spaces, but the exterior remains markedly unchanged from its onscreen appearance more than 30 years ago. Eagle-eyed fans will recognize the cement staircase located just outside of the building’s 5th Street entrance, which popped up in the video's final moments. Just beyond the structure’s roll-up bay doors, in the video’s most memorable segment, MJ dons an iconic red zippered jacket, stops an in-progress brawl and, with a few well-choreographed moves, proves that two dancing feet always trump two angry fists. Michael Jackson’s Thriller, the 13-minute music video for the megahit album's title track, premiered on Dec. 2, 1983 and changed the course of music history forever. The John Landis-directed short won countless awards, was added to the Library of Congress’ National Film Registry, and is widely regarded as the best music video ever made. 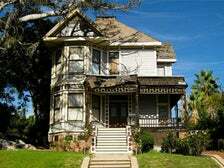 Shot entirely in Los Angeles, Thriller made use of a couple of Downtown area locales, including the Palace Theatre at 615 South Broadway and a historic 1887 Victorian residence known as the Sanders House. In the video, Ola Ray flees to this house and runs up a set of rickety steps while trying to escape from zombie Michael and his fellow undead. Only the exterior of the Queen Anne-style home was used in the video; interiors were shot on a studio set. Boasting some of the finest Victorian homes in the city, the entire 1300 block of Carroll Avenue was added to the National Register of Historic Places in 1976. 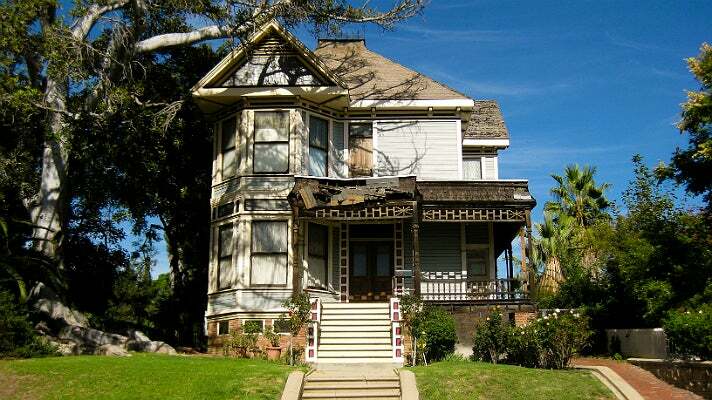 Several homes (including the Sanders House) have been named Los Angeles Historic-Cultural Monuments. The dwelling also played the residence of Madam Serena (Zelda Rubinstein) in 1989’s Teen Witch and the home of Finn (Reynaldo Rosales) in the Charmed Season 4 episode, "Size Matters." 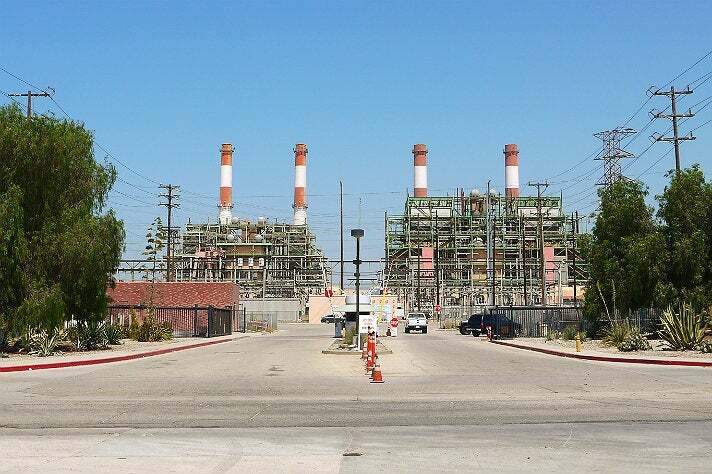 Bonus – Thriller’s iconic Zombie Dance sequence was lensed just six miles south of the Sanders House, on the 3700 block of Union Pacific Avenue in Boyle Heights. The five-acre studio located at the corner of North La Brea and De Longpre Avenues in Hollywood was originally established by comedy legend Charlie Chaplin in 1917. At the time of its inception, Charlie Chaplin Studios consisted of production offices, a screening room, a film lab, a large ten-room house, a backlot, a swimming pool, tennis courts, two soundstages, stables, and several Tudor-style bungalows. After Chaplin sold the lot in 1957, it changed hands several times, eventually becoming the headquarters for A&M Records in 1966. Though the soundstages were subsequently transformed into recording studios (as was the pool), many of the property’s original features were left intact and remain so to this day. On the evening of Jan. 28, 1985, immediately following the American Music Awards, Michael Jackson and 46 of his famous friends, including Lionel Richie, Tina Turner, Bruce Springsteen and Billy Joel, gathered at A&M to record “We Are the World.” The session began at 10:30 p.m. and lasted until 8 a.m. the following morning. The song went on to become one of the biggest-selling singles of all time, raising more than $63 million for the USA for Africa foundation. 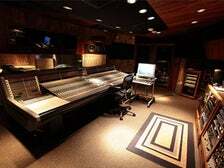 The 2010 recording of “We Are the World 25 for Haiti,” which benefitted the victims of the Haiti earthquake, was also recorded at the former Charlie Chaplin Studios. 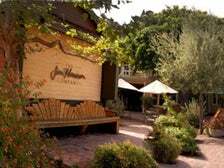 The property, which is a Los Angeles Historic-Cultural Monument, was purchased by Jim Henson’s five children in 1999 and today is known as The Jim Henson Company Lot. 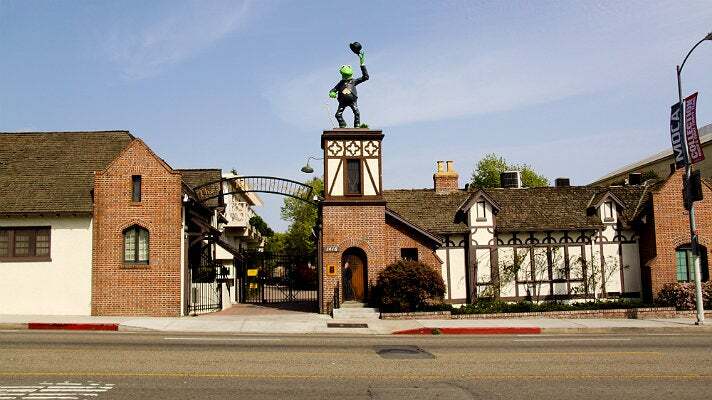 A statue of Kermit the Frog dressed as Chaplin’s famed Little Tramp character stands above the main entrance in homage to the studio’s founding father. Michael Jackson’s innovative, cutting-edge and somewhat controversial “Black or White” short film was directed by John Landis and features stars such as Macaulay Culkin, George Wendt, Tess Harper, and Tyra Banks. The video premiered on Nov. 14, 1991 to both critical acclaim and widespread pans. The criticism was largely due to the final segment involving the pop star smashing windows and suggestively dancing atop a car, which was later dropped from many broadcasts. Something critics could agree upon was the fact that the 11-minute video was a technological marvel and that Michael’s dancing was flawless. “Black or White” follows MJ performing various native dances at various worldwide locales, though in actuality it was shot in its entirety in Los Angeles, making use of spots like Universal Studios Hollywood and Vasquez Rocks Natural Area Park. In one of the video’s most famous scenes, the pop star is shown standing in a busy street in front of a set of fiery smoke stacks performing a traditional Indian Odissi dance, newspaper in hand. 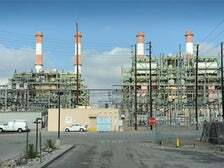 The segment, which takes place three minutes into the film, was actually shot on a quiet stretch of road in front of the LADWP Valley Generating Station in Sun Valley. A fake freeway guardrail, an additional set of smokestacks, and fifty stunt drivers were brought in to complete the scene, but the undressed site should still be very familiar to MJ fans. When Michael Jackson was pronounced dead at 2:22 p.m. on June 25, 2009, the world was taken by collective shock and fans everywhere mourned. It was obvious from the start that the pop star’s memorial service would be a very public affair. On the morning of July 7, Michael’s family held a private ceremony at the Hall of Liberty at Forest Lawn – Hollywood Hills, before heading to the public service, which took place at STAPLES Center in Downtown Los Angeles. The event was broadcast live and watched by millions of people worldwide. Due to some disagreement among Jackson family members about where the King of Pop should be buried, he was not laid to rest until two months later. On Sept. 3, the Jacksons and 200 invited guests said their final goodbyes to the singer before interring him in the Holly Terrace of the Great Mausoleum at Forest Lawn - Glendale. While portions of the Great Mausoleum are accessible to the public, the Holly Terrace is private - the cemetery has set up a designated place for fans to leave flowers in memory of the late pop star. 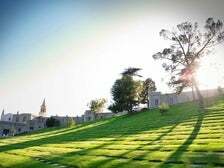 Originally established by Hubert L. Eaton in 1917, the sprawling 300-acre cemetery is the final resting place of countless celebrities, including Jean Harlow, Clark Gable, Carole Lombard, Nat “King” Cole, Humphrey Bogart, and one of Michael’s personal heroes, Walt Disney. The picturesque site boasts manicured lawns, landscaped gardens, numerous works of art, a swan lake, several churches, and a museum. Due to its scope, beauty, and fantastical elements, the cemetery is often compared to Disneyland and, as such, is a fitting final home for Michael, a man who so famously suffered the enduring pain of a lost childhood.